Born 30 April 1887, Anna Zernike studied theology at the University of Amsterdam and the Amsterdam Mennonite Theological Seminary (1905-1911). In 1911 she became the first woman pastor in The Netherlands when she accepted the invitation of the Mennonite congregation in Bovenknijpe. 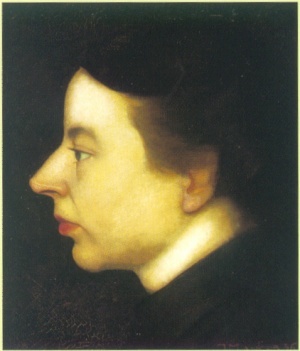 In 1915 she married the artist-painter Jan Mankes. Following his death in 1920 she became the leader of the Dutch Protestant organization "Linker-Maasoever" in Rotterdam, continuing in that work until her retirement in 1948. It was disappointing to her not to receive further invitations from Mennonite congregations after that. She spent her last years in the retirement center at Amersfoort. She died 6 March 1972. Boeke, R. "Dr. A. Mankes-Zernike 1887-1972." Rotterdam Jaarboekje (1973): 189-193. Doopsgezinde Jarboekje (1973): 13-17 (1986): 34ff. Zijpp, Nanne van der and S. B. J. Zilverberg. "Mankes-Zernike, Anna (1887-1972)." Global Anabaptist Mennonite Encyclopedia Online. 1987. Web. 21 Apr 2019. http://gameo.org/index.php?title=Mankes-Zernike,_Anna_(1887-1972)&oldid=122553. Zijpp, Nanne van der and S. B. J. Zilverberg. (1987). Mankes-Zernike, Anna (1887-1972). Global Anabaptist Mennonite Encyclopedia Online. Retrieved 21 April 2019, from http://gameo.org/index.php?title=Mankes-Zernike,_Anna_(1887-1972)&oldid=122553. Adapted by permission of Herald Press, Harrisonburg, Virginia, from Mennonite Encyclopedia, Vol. 4, p. 1139; vol. 5, pp. 537-538. All rights reserved.